in 15 esc + 12 rows = 4"
The Parker Baseball Tee is that baseball t-shirt style that everybody loves! 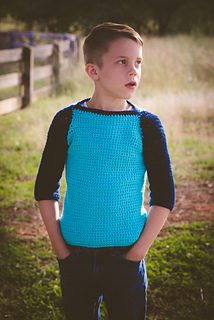 This very gender neutral top is an easy work up and can be made in any color combo! 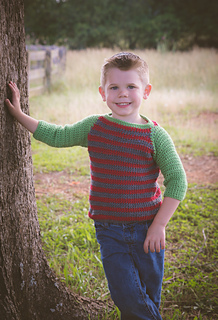 It’s made with sport weight yarn so it’s lightweight for any time of year!